Color Coded is a startup searching for a way to increase diversity in the tech industry. 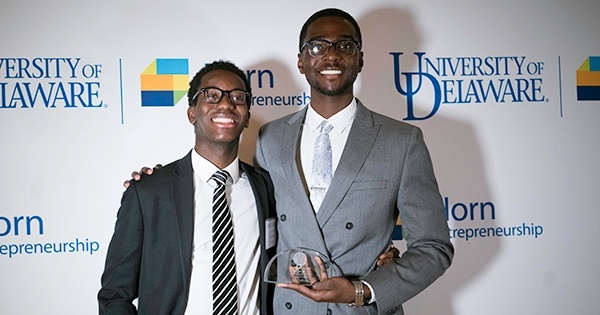 Color Coded is one of many participating teams in University of Delaware Horn Entrepreneurship VentureOn, a program led by seasoned entrepreneur Vince DiFelice, and is spearheaded by graduate student Garry Johnson and sophomore James Massaquoi. The early stage venture hopes to take cues from programs like Computer Science for All and Coded by Kids. Both social ventures have shown there is success and growth opportunity in the tech diversity niche and the Color Coded team aim to capitalize on the opportunity through VentureOn, and leave their mark on improving diversity in one of the nation’s most innovative industries. With such lofty ambitions, Johnson was quick to stress that Color Coded is still researching the market. The support program has already proved invaluable for Color Coded as the team has spoken to more than 40 potential customers to refine ideas and identify pain points. The team has visited local area public schools and tech companies as well as traveled to California to visit one of the most well developed tech scenes in the country. Johnson’s partner, Massaquoi, shares in his passionate views for promoting and improving diversity in tech. The sophomore Delaware Innovation Fellow has been doing his own research and exploration for Color Coded and attacks the problem from a different angle than his partner.